Stria has developed a novel process to produce lithium metal from spodumene. This process will consume spodumene from our Pontax deposit to generate lithium chloride which will be converted directly into lithium metal. Chlorine is liberated and recycled to the process. Used in alkaline disposable batteries, but more particularly, it is used in applications to remove carbon dioxide gas from enclosed environments – submarines, spacecraft, and divers’ rebreathing equipment, for example. The commodity material because of its stability and the wide variety of uses. 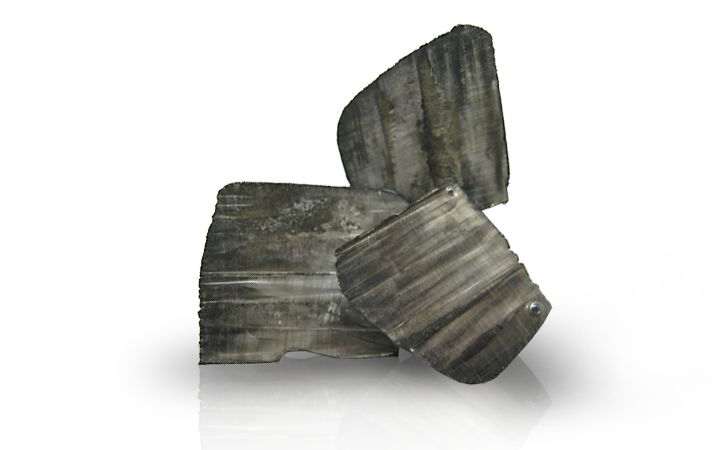 High purity lithium carbonate is the treatment of choice by physicians for the treatment of bipolar disorder and for clinical depression. Lower quality materials are used in the aluminum smelting process, in fluxes and ceramics. Lithium flouride possesses the highest UV transmission of any material and is used in the manufacture of optical devices, lenses and glassware and X-Ray plates. Used in industrial humidity control and commercial drying systems. They are also used in photographic processing, laboratories, food processing, pharmaceutical manufacturing, etc. because lithium chloride destroys microorganisms, bacteria, etc. However, we believe that Lithium Metal has the greatest potential for market penetration and, more importantly, the highest potential return on investment to our shareholders.